By the end of 1981, it had been a busy year and a half for Freddie Mercury, Brian May, John Deacon and Roger Taylor. Queen released their album The Game in June of 1980, had been touring the world to promote it, had also completed work on the Flash Gordon soundtrack music and released that album, and returned to the studio to work on the follow up album which would become Hot Space. Roger recorded and released his own solo album in that time, as well, titled Fun In Space. The Hot Space sessions in Montreux in the summer of 1981 found Queen working with David Bowie and the two released the single “Under Pressure” in October, giving them another #1 hit while they were on the aptly named Gluttons For Punishment Tour in South America. Early November saw the release of their Greatest Hits album. The band had also agreed prior to this to allow the company Mobilevision to film them in concert. The resulting film would be toured by the company for paying audiences. Two special concerts were planned for November 24th and 25th for The Forum in Montreal, Quebec, Canada. 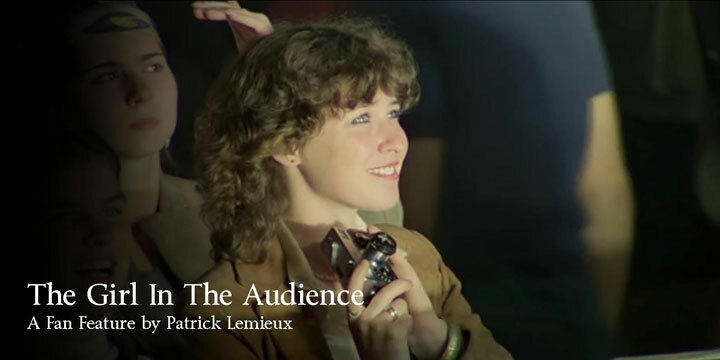 19 year old Sarah Bernard had no idea that attending the concerts would result in her being immortalized on film. As Queen finished what would be their last show of the year on the second night, and indeed the last show of an extended, exhaustive world touring schedule begun the previous June, the fans, including Sarah Bernard’s group, filed out of The Forum and into the cold Montreal night. Mobilevision released the concert film on VHS in 1984 and several more times on Laserdisc and DVD before Queen were finally able to acquire the material and release it under the official Queen banner in 2007.